When it comes to skincare, keep my skin hydrated and plum has always been my no.1 priority. 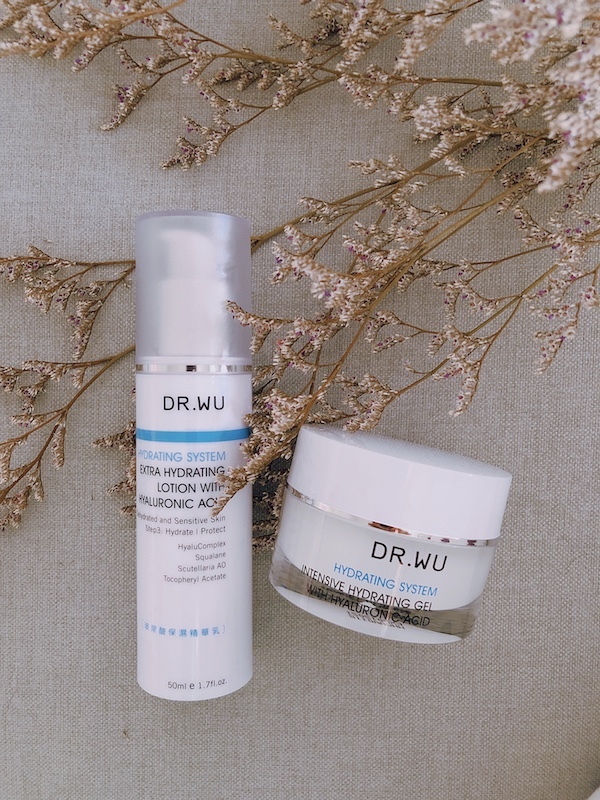 Recently I got my hands on Dr. Wu HYALUCOMPLEX Hydrating System products and I'm falling in love on how light-weight and skin-friendly they are. 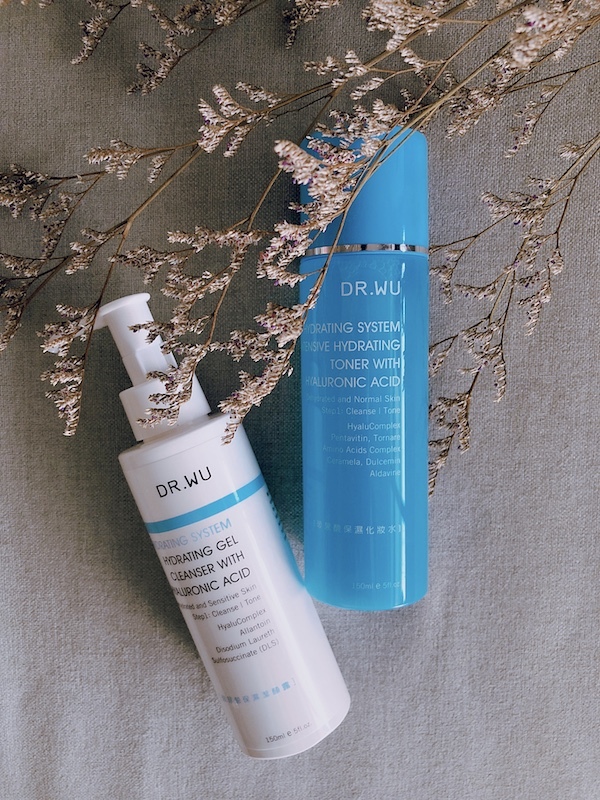 Target for dehydrated and sensitive skin type, the fifth-generation HYALUCOMPLEX Hydrating System utilizes the revolutionary HYALUCOMPLEX - the perfect combination of hyaluronic acid in high and low molecular weights. It basically means the new formula helps to achieve long-lasting hydrating effects and gives a glowing complexion all the time. There are major 3 steps for this HYALUCOMPLEX Hydrating System series. The Hydrating Gel Cleanser contains intensive, non-irritating hydrating formula that is gentle and pH-balanced. It locks in plenty of moisture while cleansing. Hence, you wouldn't feel the tightness as compared to some cleanser on the market. The Intensive Hydrating Toner contains high concentration of hydrating essence, helps to repair and restore smoothness and softness of the dehydrated skin. The Intensive Hydrating Serum promotes all-round skin revitalization and accelerates metabolism to restore smooth and glowing skin. I use it for day and night. Don't worry about its richness. It's so light-weight that is suitable to use during the day time as well. If you think you need a instant hydration boost, Dr. Wu's Extreme Hydrate Bio-Cellulose Mask is the easy-way-out. I use Extra Hydrating Lotion during the day as it has a mild formula to lock in hydration and maintaining long lasting effects during the day. If you are in a rush, I would suggest you to use the Intensive Hydrating Gel (skipping the serum) as it is an all-in-one time-minimising skincare concept. The gel formula is mild and easily to absorb into our skin. Its anti-aging and skin defense benefits is maximized with the finest scutellarein extracts from the Alps combined with green algae extracts from tidal zones. If you ask me about any skincare tips, I would say always focus on hydration as it's the based of everything. Let me know what your skin concern on the comments below, I will try to help by sharing my own experiences. extremely delightful writing your article I am proud to discover such an amazing article and I can likewise gain from your way in making a wonderful article this. The gel equation is gentle and effectively to assimilate into our skin. Its hostile to maturing and skin guard benefits is boosted with the best interstellar extricates from the Alps joined with green growth extracts.It is so multi functional. Last time I am visit best essay writing service asserts that from every conceivable determinant of essence quality. You can utilize it as a cream before applying cosmetics, a setting recipe in the wake of applying cosmetics, a preliminary for other excellence items, a facial skincare veil, or a quieting lotion.